Get your garden ready for fall with our landscaping tips. 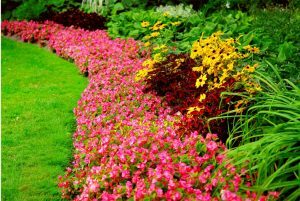 Not only do you want to replace some of the color lost to summer annuals, but you also need to start thinking about preserving your garden for winter and taking care of perennials, trees, and shrubs while the weather is still favorable. Check out our tips below to prep your garden for fall like a pro. Soon temperatures will start to dip, and there are countless flowers and ground covers that thrive in Fort Worth’s fall climate. If you are looking to invest in some perennials that pop up with gorgeous fall colors, try adding zinnias and homestead verbena to the mix. Look for zinnias with a rusty red hue and fewer petals. Zinnias are easy to grow and offer up an abundance of blooms. These flowers are perfect for cutting if you like to keep fresh flowers in the house over the fall as well. For a bolder color, plant deep purple blossoms like those found on homestead verbena in your garden. Homestead verbena blooms from June to November and quickly fills open spaces with delicate blossoms and dark green foliage. Both of these flowers represent the spirit of autumn and attract butterflies to your garden. The advent of fall heralds a lot of work to be done in your garden. The next few months offer the best opportunity to dig up bulbs, feed plants, mulch your garden, cut back perennials, and prune trees and shrubs before winter weather hits. As soon as stormy days and colder weather arrives, you won’t want to spend as much time in the outdoors, so it’s always best to get a head start on all the yard work. Of course, fall is also a very busy time for most folks, whether you are getting the kids back to school or settling back into the work routine after all the summer vacation. Blooms Landcare is always available to take care of any yard and garden needs, and we are just a click or call away at (817) 688-5352 and on our contact page.